1. Drain and rinse the soaked beans. Put them in a deep saucepan with plenty of water and bring to a boil. Boil for about 5 minutes, then reduce the heat and simmer gently for about 1 hour, or until the beans are tender but not mushy. Drain and refresh them under cold running water. 2. Heat the olive oil in a tagine or heavy-based casserole dish. Stir in the onions and chili flakes and saute for 3 minutes. Add in garlic and saute until the onions begin to soften. Add the coriander seeds, ginger and saffron. Cover and cook gently for 4-5 minutes. Toss in the tomatoes with the agave nectar and thyme, cover with the lid again and cook until the skin on the tomatoes begins to crinkle (5-10 minutes). 3. Toss in the beans and olives, pour over the lemon juice and season to taste with salt and pepper. Cover with the lid and cook gently for about 5 minutes, until the beans and olives are heated through. 4. Sprinkle with the cilantro and serve with couscous or chunks of crusty bread and a dollop of thick, creamy yogurt, if liked. I love butter beans, they are definitely my favourite bean! I don’t know about lima beans not sure what they are.! This tagine has all my favourite flavours and is perfect for this rainy day in Spain, thanks!! you are amazing. that looks unbelievably scrumptious! There are so many things I hated as a kid that I eat now…like, every vegetable, for example! 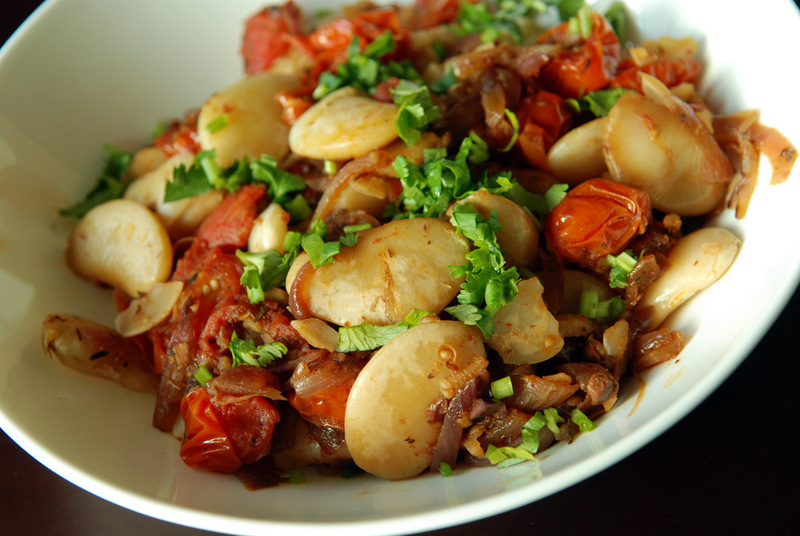 I do like lima beans, even the frozen kind, and this tagine looks delicious! I love the combination of spices but it is unlike any other Moroccan recipe I’ve seen! Chili flakes, ginger and agave? Yum! I’m saving this to try! This looks delicious! 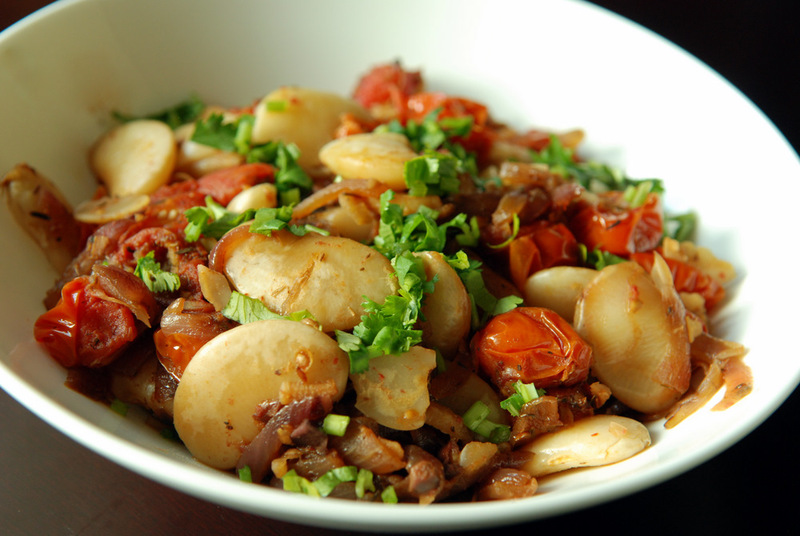 I love lima beans and will have to try this one! This sounds great. I was just in Paris and Moroccan restaurants were everywhere. Now I want to try making a tagine at home. Can’t wait to make this. It will be great with some of Rancho Gordo’s amazing Christmas Lima beans! 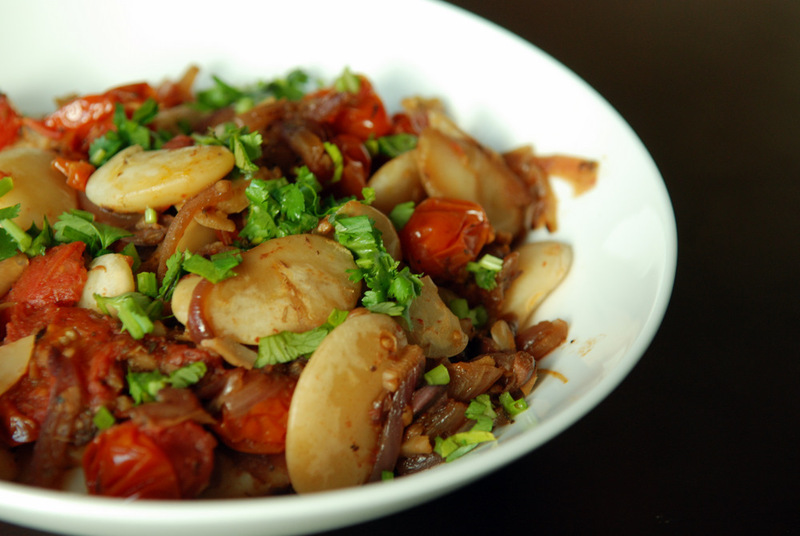 Thank you for submitting this lovely dish to WHB #274. Thank goodness our tastes grow up as we do. I’d hate to be stuck with the preferences of my childhood. Your tagine sounds wonderful. Oh wow, this sounds so good. Nothing better than olives and tomatoes. And all those spices? Amazing. That is very strange that Bestwin does not carry French du Puy or black beluga lentils. Either way, your Lima beans look delicious! I absolutely admire your use of legumes in all of your dishes! I made this recipe tonight, it’s delicious, great flavors!! I will make this again, thanks for the recipe! !